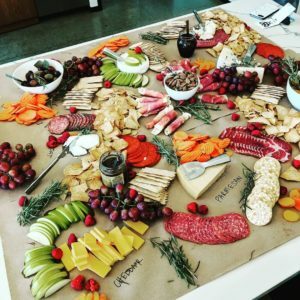 Want to learn how to WOW your guests with your Charcuterie Board skills?! Join league Member Amy G. (and owner of Industrious), to learn how to make your cheese board dazzle! Tickets are just $20: various meats and cheeses will be provided. Assemble your own charcuterie board, then take it home with you.